I want to set up a network using git for the repositories, but not in a local way, but in some way there is a server and the other colleagues connected from home make their respective changes. I have a PC that I can use as a server, but it will not be on 24 hours. As if it were on GitHub but in local mode. How can I do that? You can see Gitblit , it's a server for repositories developed in java, so it can be used in windows, linux and mac (even in others) ) also has a WAR version, which can be displayed in a container of Java applications. 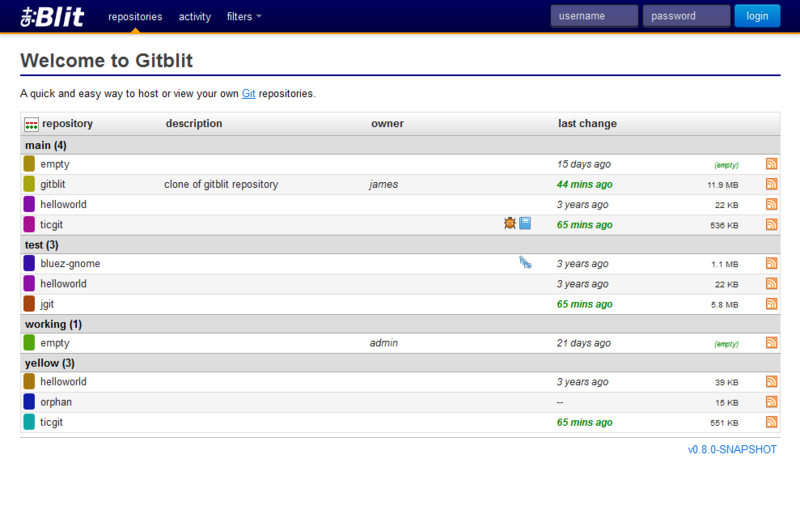 Download and unzip Gitblit GO 1.7.1 (Windows) or 1.7.1 (Linux / OSX). It is best to delete spaces in the name of the route. Enter the warehouse password used in server.storePassword when prompted. This generates a SSL certificate for localhost. You might want to generate an SSL certificate for the hostname or ip address hostnames that you are serving as NOTE: You can only have an SSL certificate specified for a port. Open your browser to http://localhost:8080 or https://localhost:8443 depending on the chosen configuration. NOTE: Be sure to change the username and / or administrator password !! You may have to manually extract the WAR (zip file) to a folder within the webapps folder. You may have to restart the servlet container. Open your browser in http://localhost/gitblit or the address of your application container. In your case, the Git protocol may be the most reasonable, because it is part of git, and so does not require other software. The Git protocol is a special daemon, which is incorporated with Git. Listen for a dedicated port (9418), and give us a service similar to that of the SSH protocol; but without any authentication. If you want authentication, you can consider using SSH. The chapter Git on a server , from the Pro book Git , explains how to install git to use the git protocol, and SSH. It is important to understand that this only serves as a server for Git; does not include the web interface like GitHub. 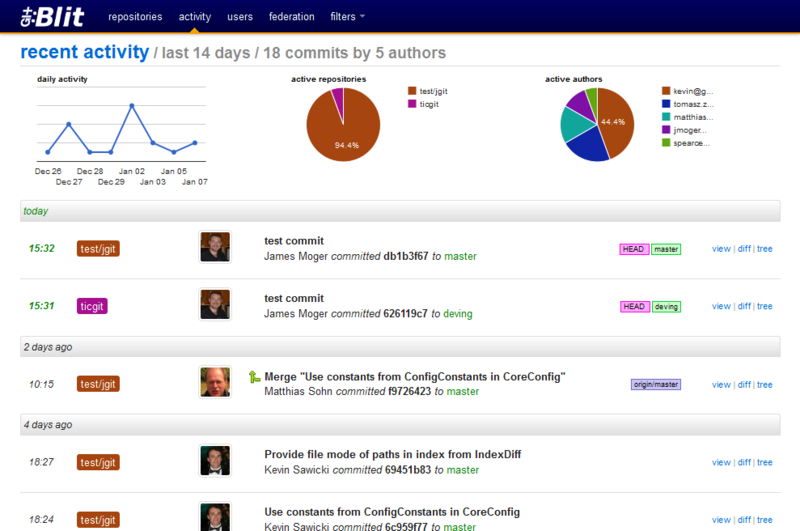 Therefore, there are several options, such as GitLab , GitHub Enterprise , and others. There are also options with simpler web interfaces, such as GitWeb , which you can use in conjunction with your server. Git. But I can not make a specific recommendation for these, because the best option for you depends a lot on your case, your budget, and your preferences. For more information link .